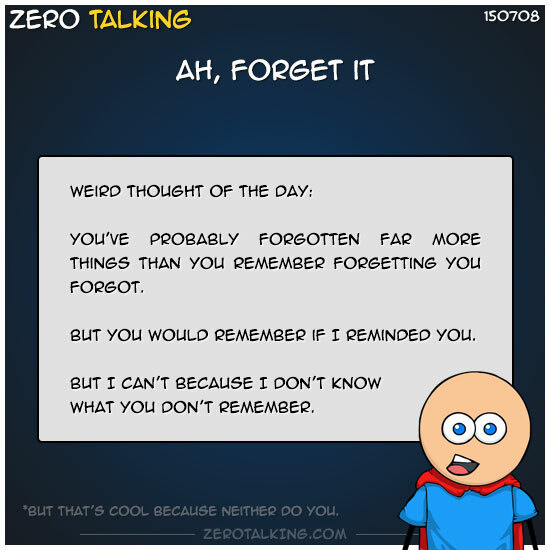 You’ve probably forgotten far more things than you remember forgetting you forgot. But you would remember if I reminded you. But I can’t because I don’t know what you don’t remember. *But that’s cool because neither do you.